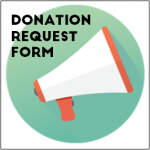 Having a clear process for requests for financial support to be made to the board for consideration can streamline the process and add transparency. 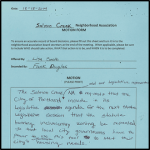 Using a motion form can be helpful for ensuring that the ‘mover’ has thought through all the necessary parts of their motion and that the exact wording is recorded in the meeting minutes. 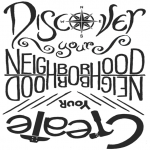 The ONI Standards require all recognized neighborhood associations to have bylaws. 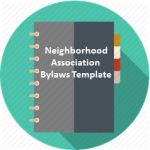 This new bylaws template has been created to help Portland’s neighborhood associations develop and update their bylaws. 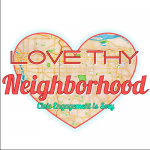 This postcard template advertises neighborhood association elections using the theme of “Love Thy Neighborhood” on a white background. 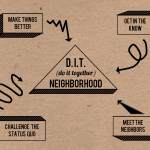 Postcard advertising neighborhood association election using the theme of D.I.T (do it together) and on gray background. 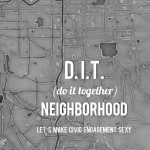 Postcard promoting neighborhood association elections using the them of D.I.T. (do it together) on brown paper.